Indian equities dropped following a decline in global stocks as trade tensions between the U.S. and China continued to weigh on sentiment, with the two sides reported to be far apart on proposed resolutions. India’s key indexes capped their worst weekly decline in nearly four months. 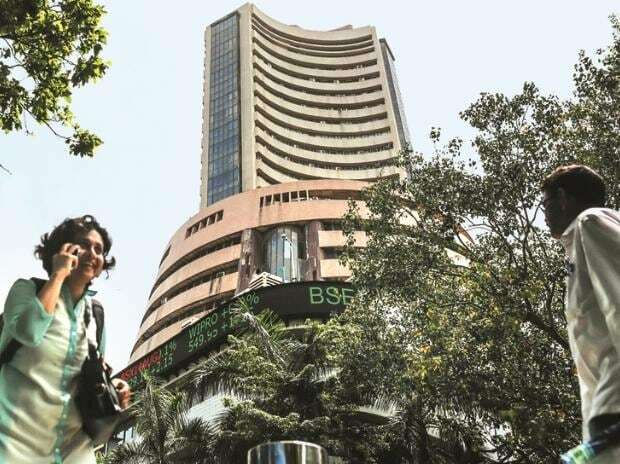 The benchmark S&P BSE Sensex dropped 0.2 per cent to 35,808.95 at the 3:30 p.m. close in Mumbai, paring a loss of as much as 1 per cent in the day. The NSE Nifty 50 Index also fell 0.2 per cent and both the gauges extended their retreat this week to 2 per cent, the steepest for that period since October 28. A deadly attack against security forces in Pulwama in Jammu and Kashmir on Thursday weighed on investor sentiment as Prime Minister Narendra Modi said the nation will give a “befitting reply.” The outcome of Lok Sabha elections in May, however, is seen as the biggest local event that will set a direction for markets. Until then, equity gauges are expected to react to progress on global developments such as Brexit and U.S.-China trade talks. “There has to be a resolution of some kind or the other between the U.S. and China as both of them can’t afford to stretch this beyond a point,” he said. Thirty-three of the 50 Nifty shares and 20 of the 31 Sensex stocks retreated. The nation’s top drugmaker Sun Pharmaceutical Industries Ltd. fell 4 per cent, most among Sensex members, reversing Thursday’s gain. Of the 50 Nifty companies that reported earnings for October to December, 35 either beat or matched analyst estimates, according to data compiled by Bloomberg. Thirteen of the 19 sector indexes compiled by BSE Ltd. dropped, led by a gauge of metal stocks. Glenmark Pharmaceuticals Ltd. dropped 6.5 per cent to lowest since July 2018 as it reported a lower-than-estimated net income for the end-December quarter. The India NSE Volatility Index climbed 4.4 per cent, the most in more than two weeks.